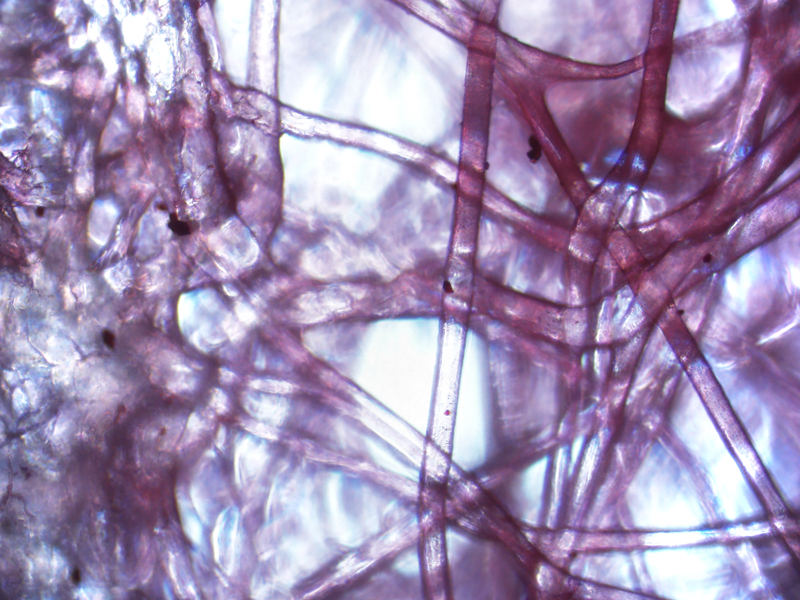 This image demonstrates through staining how human stem cells (from adipose or fat tissue) bind to an artificial matrix on which they will grow. The matrix appears transparent while the stain (red to dark purple) shows where the fat cells bind to it. The image was used as pre-clinical evidence to help obtain regulatory approval for the use of this regenerative medicine approach in clinical trials. Courtesy of Allan Dietz, Ph.D. Read more about his work in Enemy of My Enemy.